Are you an entrepreneur who struggles with writing compelling copy that gets results? You are not alone! In fact there are thousands of entrepreneurs who struggle with this every single day. 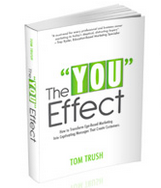 This new book, The You Effect by my friend Tom Trush, will help you overcome many of the challenges entrepreneurs face when it comes to creating marketing that gets a positive ROI! What I like most about the book is how short the chapters are (1-3 pages), and how valuable the information is within each section! This book has definitely been written for the reader who doesn’t like to read, but still wants to get the information they want to generate positive results in their business. Be sure to pick up this book, and listen to my interview with Tom below! 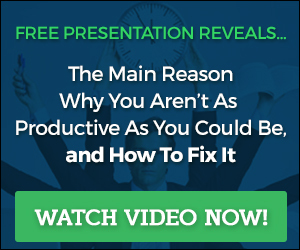 There are some amazing gold nuggets in this interview that you will be able to take and run with to start creating results on the spot! Previous post: I Have A Dilemma and Need Some Help!